Whether 38 Degrees members were feeling hopeful or stressed about the prospect of another election, most of us agree that Brexit and the NHS are the most important issues in this election. 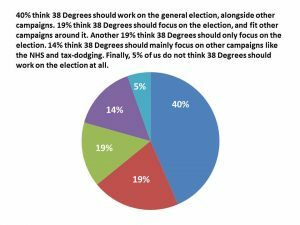 Most of us agree that 38 Degrees should work on the general election, but continue to work on other campaigns that are not related to the election. And, more than 200,000 38 Degrees members are ready to work together during the election. over 90,000 of us want to share news on social media or by email. 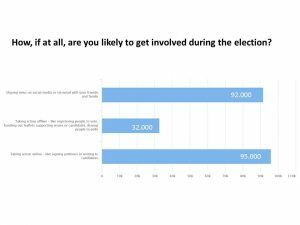 and more than 30,000 of us want to take action offline, which could mean registering people to vote or handing out leaflets about the issues that matter to us. 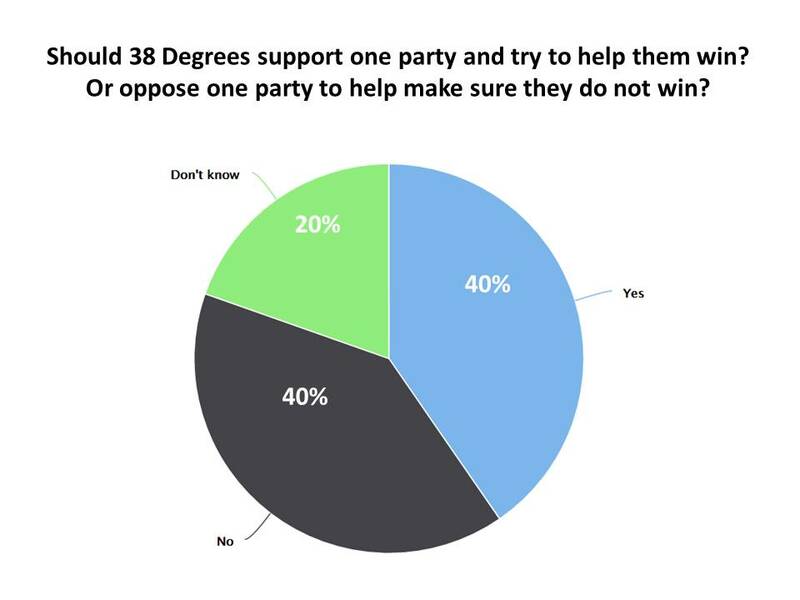 38 Degrees members are split on whether we should – or shouldn’t – support one party and help it win the election, or whether we should – or shouldn’t – oppose one party and help make sure it doesn’t win. 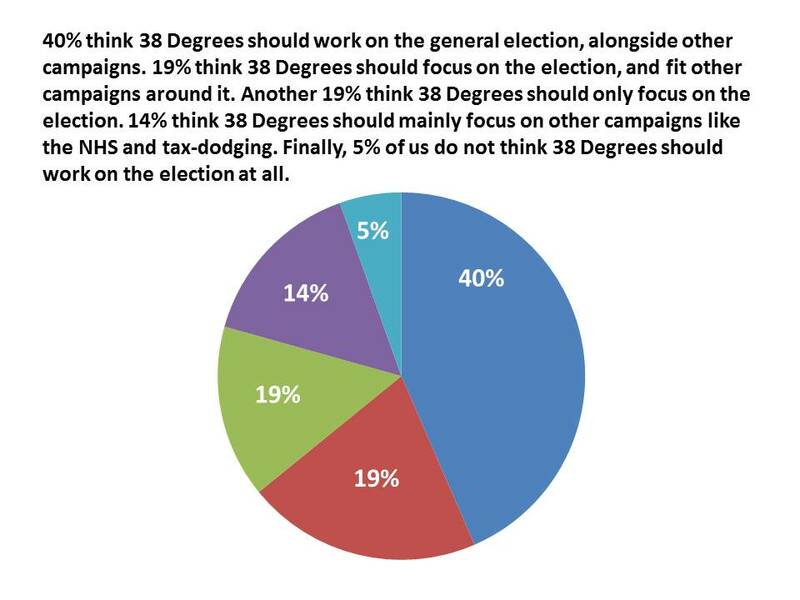 38 Degrees members come from across the country and have many different backgrounds and opinions. We don’t all agree on everything, and that’s okay – but when we all come together, we can make a plan for how to make the UK a better, fairer place for everyone. 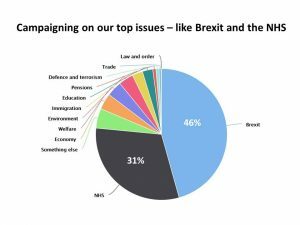 That’s why there’ll be a new survey to fill out soon so we can all have our say on what 38 Degrees’ next steps should be. Keep an eye on your inbox!